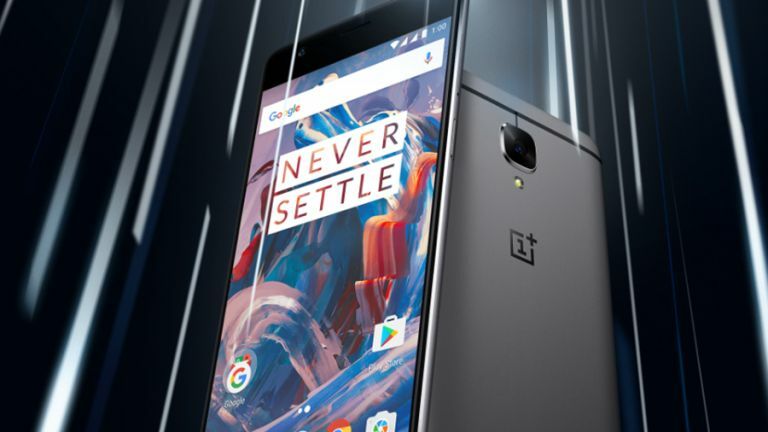 It's third time lucky for OnePlus (well, fourth if you count the OnePlus X): the Chinese startup has come up with its best handset yet, one that finds the sweet spot between high-end specs and a very reasonable price. It's one of the best phones of the year. There are a lot of good reasons to take the plunge on buying the phone, so you'll be looking to get the most out of it - and we're here to help you do exactly that. Read on for the best hardware and software tips and tricks for your brand new OnePlus 3. Most Android phones don't come with a nice and handy physical mute switch, but (like the OnePlus 2) the OnePlus 3 does - it's on the top left of the phone. Be aware that by default it only covers calls and alerts though, not alarms and media apps (like Netflix or Spotify). You can change this by going into the Alert slider menu in Settings, choosing Silent settings, and then turning the toggles off for Alarms and Media. For finer adjustments, press the up or down volume button, then tap the down arrow to see all three levels. OnePlus has built a nifty 'proximity wake' feature into its handset which means you can see your most recent notifications with a wave of your hand - very useful if your phone's flat on a desk and you don't want to pick it up or start fiddling around with buttons. To turn it on, go to Settings, then Display, and turn on the switches for both Ambient display and Proximity wake (if they aren't already). As long as the phone's proximity sensors can detect a wave of your hand, your alerts will show up, even on a locked screen. The OnePlus 3 comes with a Night Mode that you can find in the Display menu of Settings and on the quick settings panel (drag down with two fingers from the top of the screen). It makes the display easier on your eyes at night by reducing the amount of blue light. If you go through the Display menu option then you also get access to a slider that lets you adjust the warmth of the on-screen colours. Unfortunately there's no option to have Night Mode automatically kick in in the evening, but it's easy enough to enable manually. The OnePlus 3's Camera app comes with a few manual controls you might find useful: to find them launch the Camera app (with a double-tap on the power button if you like), then tap the menu button (three lines in the corner) and then choose Manual from the list. The options available here are (from the top) focus, shutter speed, white balance and ISO. If you're not all that much into your photography these options might be a little confusing, but do some quick research on the web and you'll find they're not difficult to master. The Android navigation keys are traditionally, from left to right, Back, Home and Overview (the multitasking screen). With the OnePlus 3, though it doesn't have to be that way - you can reprogram the soft keys under the screen to carry out alternative functions too. Go to the Buttons menu inside Settings to get started. You can swap the Overview and Back buttons around, turn off the backlight, put the buttons on the display itself, and assign secondary actions to each button (launched with a long press or a double tap). To the left of your main home screen is not Google Now (as it is on stock Android) but the OnePlus Shelf - a customisable collection of apps, shortcuts and feeds. If you don't like the way the Shelf is set up when you first get to it, then it's easy enough to tweak yourself. Tap the large plus button (bottom right) to add new widgets: you can add any of the widgets available on your phone, from calendars to media players. Meanwhile, open up the main menu (three horizontal lines) to tweak the weather widget or hide it completely. The OnePlus 3 software, called OxygenOS, comes with some fancy gesture tricks you'll want to learn. For example, do a quick swipe up on the home screen to get to Google search and Google Now, or a quick swipe down to show recent incoming notifications. If you don't like this behaviour for whatever reason, you can disable it - tap and hold on a blank area of the screen and choose Customise to disable these swipes. More gestures can be found in the aptly named Gestures menu in the main Settings app on your OnePlus 3. Some users have complained about the colour calibration on their OnePlus 3 handsets, but the company is pushing out a fix, and if you go to Settings and About phone you can see if you've got it yet. Version 3.2.1 or later is the one to particularly watch out for. To access the colour tuning page you need to turn on the Developer options menu first. To do this, go to About phone again, then tap seven times on the build number - the new menu (and the colour tweak options) should be available when you return to Settings.